Royal Star is your dream destination to live in or park your funds for investment. Its eco-friendly plan with over 300 trees and 1000 flowering plants unveil a wonderland that will soon be accessible by a 200 feet arterial road. Plus its open space, health friendly parks, landscaped gardens and potable ground water adds royalty to its star value. What’s more, it is surrounded by Mogappair, Avadi, Padi, Nolambur & Thiruverkadu to give you a paradise within city limits. 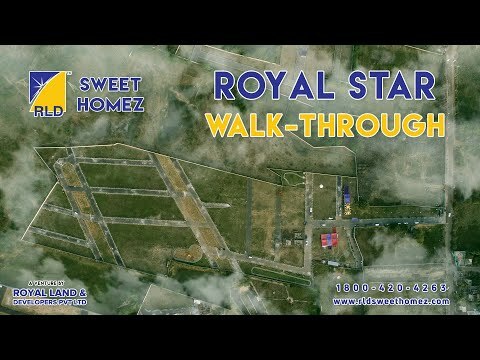 About Royal Land & Developers Pvt. Ltd.
Royal Land & Developers Private Limited (est. 2004) is a real estate enterprise committed to creating superior living and plotted development spaces from the past 15 years. RLD believes that a home is where the heart truly is. Hence, we aspire to infuse life into living in every endeavor that we undertake. Our expertise is used, right from the start, from identifying the property and ensuring the clean deeds which make the investors feel comfortable and have peace of mind over their investments. We offer premium plots in prime locations that will benefit you greatly in the future. Strengthened by your trust and support, we are forever committed to giving you the best. Content provided by Royal Land & Developers Private Limited. Info Edge (India) Ltd. disclaims all warranties against infringement.